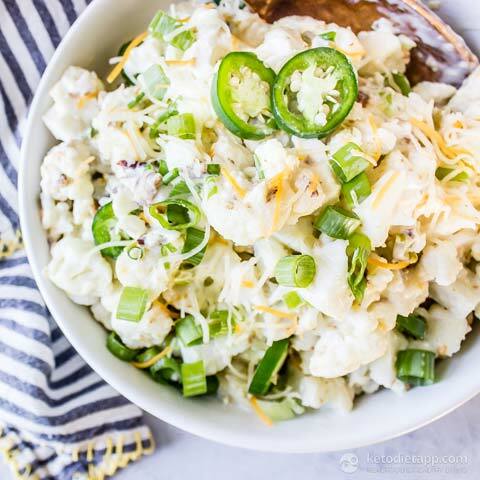 Summer is filled with BBQ’s and cookouts and one of my favorite side dishes has always been potato salad. 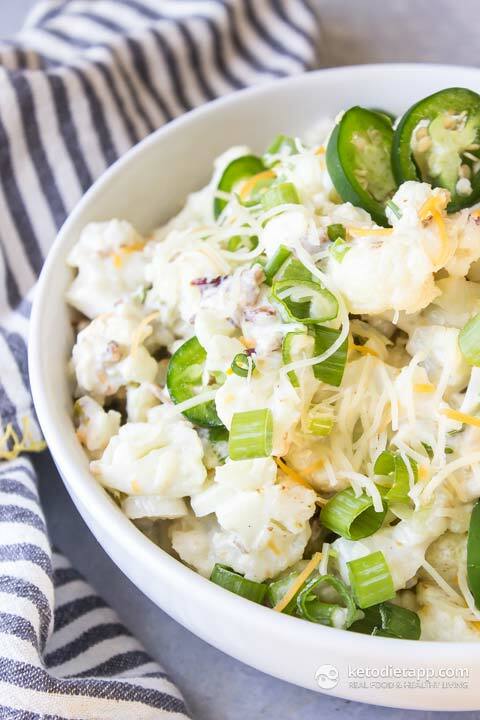 We’re switching the classic salad up today with this low-carb Jalapeño Popper “Potato” Salad. 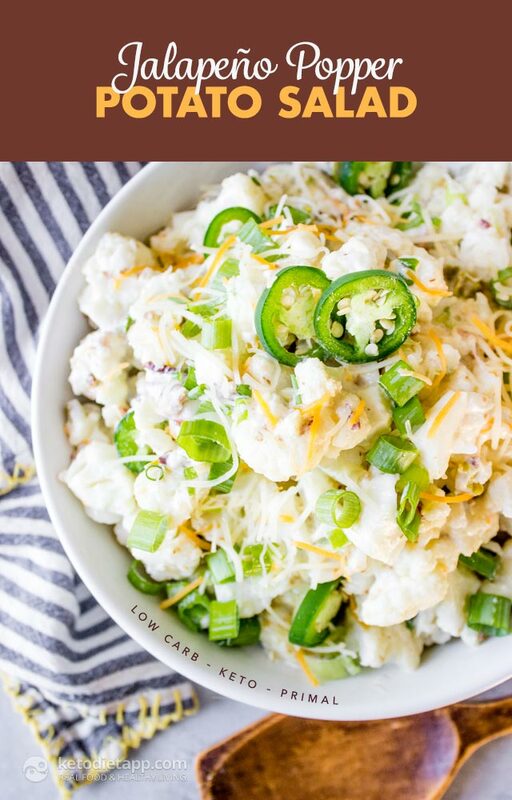 This keto friendly side dish uses cauliflower as the swap for the traditional “potato”. By cutting the cauliflower into 1 inch cubes and roasting just until tender, they take on the texture of potatoes. We’re kicking things up a notch by adding in some jalapeño popper flavors with smoky bacon, crisp green onions, tangy pickled jalapeños, cheddar cheese, cream cheese, and a little mayonnaise. I also added a fresh jalapeño for a little crunch. This is one side dish everyone will love! Preheat oven to 190 °C/ 375 °F and line a baking sheet with parchment. 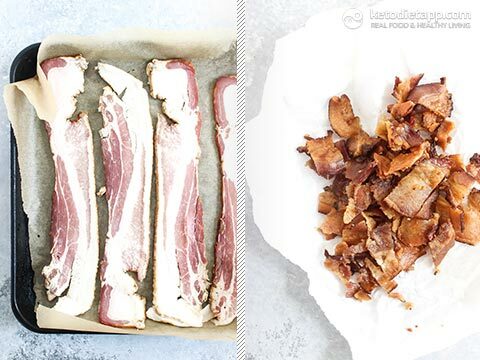 Arrange the bacon in a single layer and cook 15-20 minutes until crisp. Transfer to a paper towel lined plate. Clean the baking sheet and cover with a new piece of parchment. 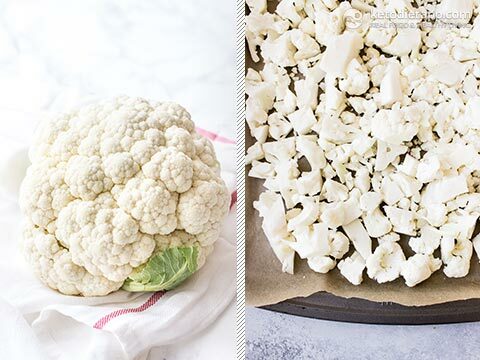 Arrange the cauliflower in a single layer and cook 20-25 minutes until tender. Let cool. 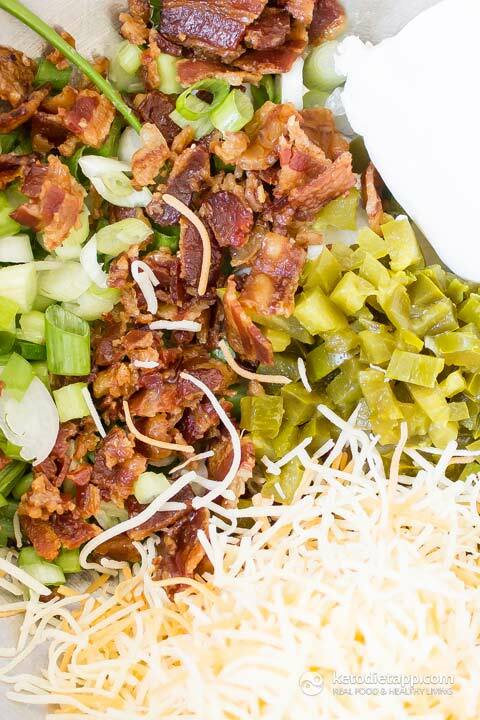 In a large bowl stir together the cream cheese, mayonnaise, garlic powder, salt, shredded cheese, pickled jalapeños, green onions, bacon, and fresh jalapeños. Add in the cooled cauliflower and toss to combine. Chill until ready to serve. 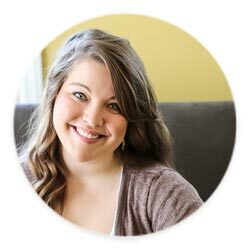 I always love your recipes and guides - but this one is particularly good just because it is so different. Varying up food is always a good thing and that makes eating healthy so much more interesting and enjoyable.